Don has served as Director of Music at First Presbyterian since February 2008. In addition to being an ordained Deacon and Elder, he has been a Certified Church Musician (CCM) through the Presbyterian Association of Musicians since 1985. Don has conducted numerous workshops on church music, directing church choirs, conducting, and singing. He has been active with the Charlotte Presbytery and Providence Presbytery. In the spring of 2017, he will present several sessions on the history of sacred music for Union Presbyterian Seminary in Charlotte. 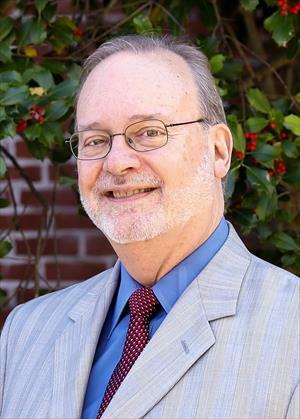 Professionally, Don has been a member of the music faculty at Winthrop University since 1975, and has served as Chair of the Department since 1996. He has directed the Winthrop University Glee Club, and the 12-member Madrigal Singers. Don is director of the Summer ST-ARTS held on the Winthrop campus. Don holds degrees in choral music education from the University of North Carolina at Charlotte, Winthrop University, and the University of South Carolina.